Experience Sacred Wisdom and Peace - This soothing-trance music invites you to remember your own inner peace. 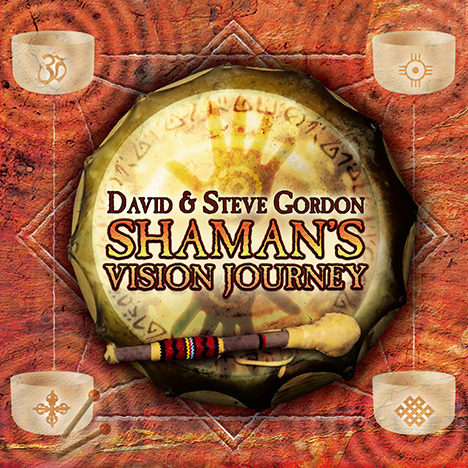 Award-winning artists David and Steve Gordon (Sacred Earth Drums, Drum Medicine) combine the authentic Shaman rhythms and reverent Native Flute melodies they are renowned for with relaxing atmospheres, ancient Lakota chants, guitars, sounds of nature and the healing resonance of Crystal Bowls. The album consists of four serenely hypnotic 20-minute movements that correspond to the Native-American four directions and the four sections or worlds that make up a Shamanic Journey. Extras inside the booklet include “How to Take a Shamanic Journey” – plus “Empowerment through Sacred Chant” which explain how to use this extended-length recording with it’s gentle heartbeat drums as a sonic tool for your own Shamanic sessions. This peaceful journey will nourish your Massage, Meditation and Yoga as well as being the perfect music for starting your day or unwinding at night. Weineck, Joe "From Jungle To Galaxy - Deep Space Lounge"